Our subtle link change and iPad functionality. Posted July 22nd, 2011 by Karl & filed under MailBigFile News. Some of you may have already noticed the subtle change to our blogging service recently. We’ve changed the URL from http://www.mailbigfile.com/blog to http://blog.mailbigfile.com. There is however no need to update your current bookmark as the old link will still feed you through to our new location. Our actual blogging service also won’t be affected. All those wonderful posts gone by are still available to view and you can continue to view new posts in the same way as before. As an additional feature for those of you who do enjoy reading our posts, you can now access our blog on your iPad. 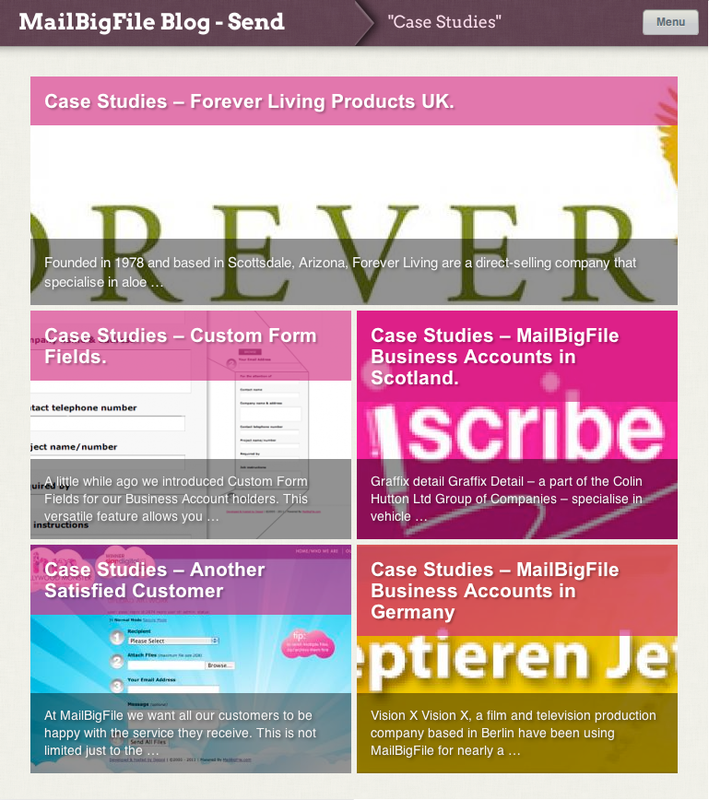 You can do so by simply going to blog.mailbigfile.com whilst on your iPad. You should also notice a little layout change while viewing our blog on your iPad. Kudos to the team at OnSwipe for this nifty little plugin which works seamlessly with WordPress. Best of all it’s free, and you can’t complain with free. In other MailBigFile news, a new service is soon to be released to the masses. Keep an ear out for more information on this in the coming weeks!